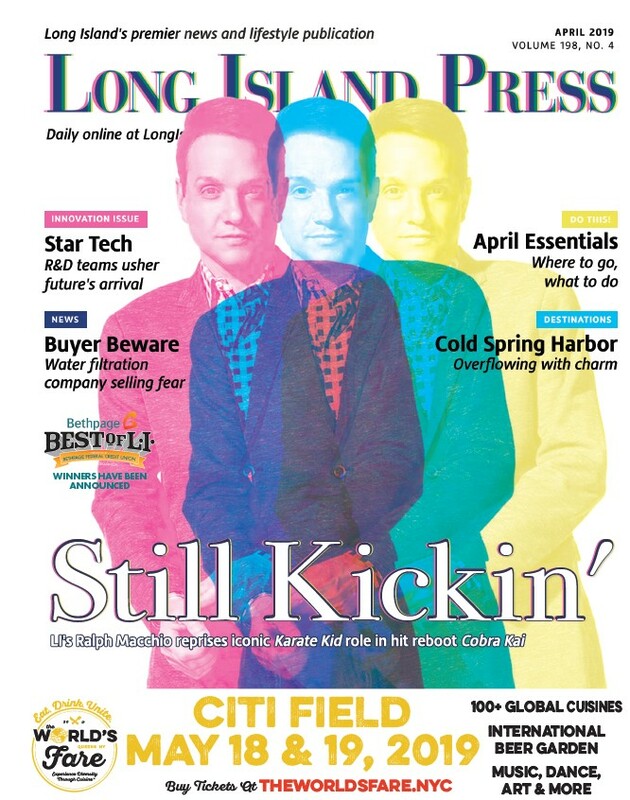 The 2015 Long Island Press High School Journalism Awards Program was a resounding success yet again, culminating in its annual awards gala May 27 at Hofstra University’s John Cranford Adams Playhouse attended by hundreds of high school students, faculty and parents from across Long Island. It was a celebration that will undoubtedly be remembered for a long, long time. The annual awards competition and gala, now in its eighth year, recognizes outstanding high school journalism in print, video and online, including reporting, writing, design, artwork and illustration across more than 100 individual categories, ranging from “Best Arts Feature” to Best School Spirit Video.” Special awards are also presented for Story of the Year, Student Journalist of the Year, Advisor of the Year and Newspaper of the Year. With nearly 1,600 entries from more than two dozen high schools throughout Nassau and Suffolk, the 2015 contest was unprecedented in its scope and quality of submissions. 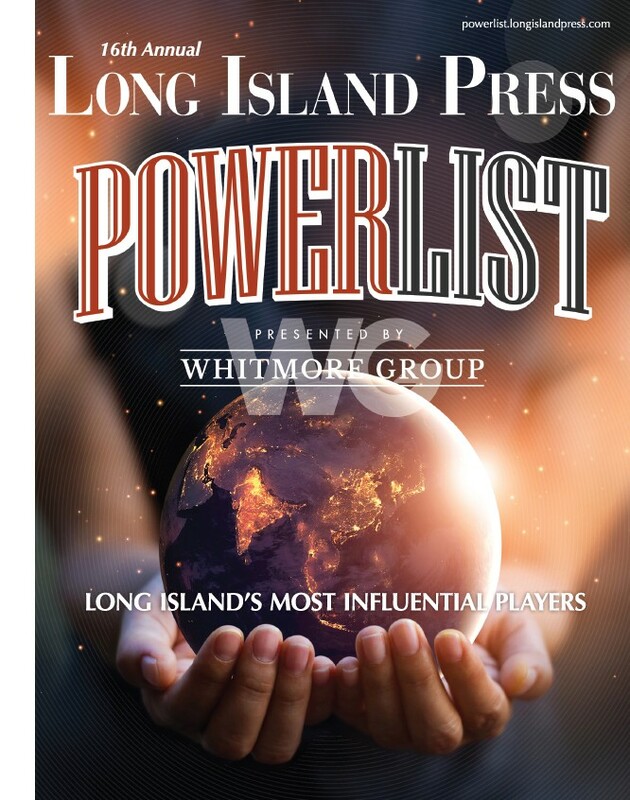 As always, Long Island Press staffers spent weeks judging these entries and were impressed by the students’ exceptional depth and caliber of work. All Smiles: (L-R) Bay Shore High School ‘Maroon Echo’ Advisor Walt Fishon, Massapequa High School ‘The Chief’ Advisor Elyn Coyle, Commack High School ‘The Courant’ Advisor Christina Semple and New Hyde Park Memorial High School ‘The Chariot’ Advisor Mike Stencel were all crowned Advisors of the Year at the 2015 Long Island Press High School Journalism Awards Gala at Hofstra University on May 27, 2015! CLICK HERE TO VIEW PICTURES FROM THE 2015 LONG ISLAND PRESS HIGH SCHOOL JOURNALISM AWARDS GALA AT HOFSTRA UNIVERSITY! “Of course, all of these topics, no matter how far-reaching, have local consequences and ramifications, and students did an outstanding job documenting them,” added Twarowski. “Their coverage of the Opt-Out movement, school speed cameras and the high-stress environment consuming students throughout all grade levels added perspectives all-too-easily ignored by some local news outlets. The gala kicked off with an introduction from Press/Morey Publishing Associate Publisher Beverly Fortune, followed by opening remarks by Press Publisher Jed Morey and a keynote address from Dean Cornog. The program and this magnificent awards celebration, in which students from throughout the participating schools proudly walked onstage to accept their various awards and pose for photographs with fellow classmates, winners and advisors, would have not been possible, of course, without the continued tremendous support of its chief sponsor, Hofstra University and The Lawrence Herbert School of Communication. The annual awards gala was once again emceed by award-winning journalist, broadcaster, Press Club of Long Island board member and Long Island Press High School Awards Program Coordinator (and all-around superhero) David North, who interspersed the hundreds of students’ names and their respective honors with knee-slapping jokes and observations. His infectious charm, passion and wit kept the night moving along smoothly, occasionally handing the microphone over to a host of Press staffers for truly moving remarks. Night To Remember: (L-R) Long Island Press Associate Publisher Beverly Fortune, High School Journalism Awards Program Coordinator (broadcaster, emcee and all-around superhero) David North, and Hofstra University’s Lawrence Herbert School of Communication Dean Evan Cornog were among the all-star speakers and presenters at the 2015 Long Island Press High School Journalism Awards Gala at Hofstra University on May 27, 2015! Inspiring words were delivered by Press/Morey Publishing Managing Editor Timothy Bolger, Press Senior Editor Spencer Rumsey, Press Staff/Education Reporter Jaime Franchi, Morey Publishing Sales Director John Meyers, New Media Director Michael Conforti and Graphic Designer Jon Chim, whose short but powerful remarks were sure to invoke at least a few starry eyes from those in attendance, as they did at last year’s gala. “A great news story is not merely an account of how, what, where, when and why,” explained [#Tomothy] Bolger as he introduced the winners for “Best News Story.” “Yes, it contains all of those elements, but a great news story is truly so much more. A great news story captivates the reader from the first syllable. A great news story shows both sides of the issue. A great news story leaves no stone unturned, serves to inform and incite, and is a catalyst of meaningful reflection and action. Special awards were dedicated to Aura Diaz, the 16-year-old mother from Brentwood who was murdered in 2005 and Andrea Rebello, the 21-year-old Hofstra junior who tragically lost her life in a shooting two years ago. Twarowski presented the contest’s Robert W. Greene Investigative / Enterprise Journalism Award—named in honor of two-time Pulitzer Prize-winning investigative journalist Robert “Bob” Greene, who besides being a force of nature in the field, was also a powerhouse for good in the classroom and a longtime teacher at the university. The legendary Newsday editor was also instrumental in founding Hofstra University’s journalism and communication programs. “These writers and stories embody Bob Greene’s spirit, his passion, his quest for the truth,” he added.